The lows in rescue, I realize are matched by the incredible highs, and without one, there isn't the other. I've met so many selfless, good-hearted people from all walks of life and different parts of the country, all connected by their love of dogs and willingness to go the extra miles - or a few thousand - to shepherd them along on their arduous journeys to love and safety. The impetus for the writing of this book is, fittingly, a dog. Peter Zheutlin and his family adopted Albie from a high-kill shelter in Louisiana via labs4rescue. He learned that Albie was to be transported north via an organization called Rescue Road Trips, run by Greg Mahle (pronounced "May-lee"). 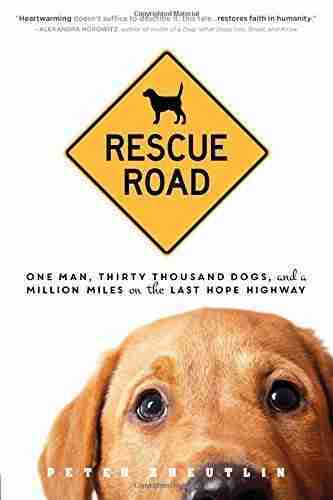 Zheutlin, a journalist, decided to explore the amazing amalgamation of events leading to his own dog's rescue. He reached out to Mahle and asked if he could ride with him over the course of a year and see for himself how rescue really works, and particularly, the place where his beloved Albie had come so close to death. He would not just be a passenger, but would help as needed. The experience was more than eye-opening. In fact, it was exhausting, exhilarating, and ultimately awe-inspiring. Greg Mahle grew up in the restaurant business in Ohio, so he is inured to hard work, rough hours, and low pay. His wife Adella handles the back office duties to help with the ever-changing scheduling and myriad problems arising while Greg is on the road. It's tough on the family to have him gone so much (he makes the 1000-mile trip south every two weeks), but the results are worth it. "Gotcha Day" is what Greg calls the happy end of the transport when he can hoist a previously unwanted and doomed pup into the arms of a happy adopter. Gotcha Day is what keeps him going through horrible weather, mechanical breakdowns, and personal crises. It makes it all worthwhile. Zheutlin sees firsthand the poverty of the Deep South, particularly the Fifth Ward in Houston, and the disregard of human as well as animal life. The so-called shelters are often nothing more than brief holding cells for euthanasia. Some of the facilities have a 90 percent kill rate, usually targeting puppies first rather than have to fund vaccinations. Compared to shelters in the north, that seems unbelievable, but it's a reality that rescuers know well. The reasons for so many high-kill facilities in the south, and for the general poor treatment of domestic animals there, are complicated. There are cultural issues concerning how animals have been traditionally regarded, especially in the rural areas. There are, of course, financial issues. A family stuck in severe poverty is not likely to take measures to care for their pets. In fact, "pet" is not really a term to apply to the creatures who are forced to live their short lives outside, with no medical care or socialization. 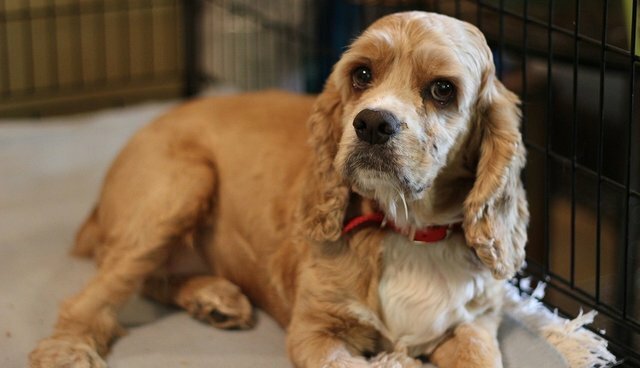 This mindset is changing slowly, thanks to educational initiatives that many rescue organizations and southern shelters are taking, but the tidal wave of unwanted, neglected, abused, and forgotten dogs still seems endless. In spite of the odds, however, rescuers such as Greg Mahle, and his colleagues in the south, push on, never taking a breath, it seems. Now so many of those unsung heroes and angels out there have a moment in the spotlight, thanks to Zheutlin's book. And anyone who thinks rescuing dogs means playing with puppies all day long will be humbled by the physicality and emotional strain rescuers endure. Take this book as a call to action to not only support legitimate rescue organizations through donations and adopting, but to address the importance of education in slowly building empathy towards all living things. We can all be angels if we want to be.